Metal roofing has a history in the United States that dates back to the birthplace of the country. Thomas Jefferson had a tin roof installed on his famous Monticello home and Paul Revere—yes, the guy that made that midnight ride—later diversified his silversmithing business to produce rolls of copper that was utilized for roofing. It was the 19th century and the introduction of galvanization processes to inhibit corrosion and make common steel weatherproof, however, that made metal roofing a frequent sight on stylish Victorian-style homes in cities and towns. Many metal roofs installed on well-maintained houses 150 years ago are still in good shape today. Metal roofing is enjoying a renaissance as even more improved materials and installation procedures make it a doable option for both new construction as well as re-roofing conventional wood- or asphalt-shingled roofs. Is a metal roof right for every house and every budget? Certainly not. But neither are other types of roof materials such as wood shingles, asphalt or tile appropriate for every application. To help put the issue in perspective and make a more informed choice, here are some of the pros and cons of metal roofing. Wood shingles can be expected to require replacement in as little as 10 years while asphalt shingles typically have a maximum usable life expectancy of no more than 20 years. Both of these roofing materials also come with a very limited warranty to match that limited lifespan. A properly installed modern metal roof, conversely, can be expected to last 50 years and 70 years is not uncommon. For that reason, a warranty term that lasts at least 50 years is not unusual from many metal roofing manufacturers. Some insurance companies actually offer discounts on homeowner’s policies when the house has a metal roof. For good reason: Metal roofs are superior at resisting wind damage and heavy rain. Some metal roofing is rated to endure 140 mph winds. Because the material is treated in the manufacturing process to resist corrosion and remain intact for many decades, leakage during heavy rains is less likely to be an issue than with other materials like wood and asphalt that crack and deteriorate over time. When considering a metal roof, the question sometimes arises, “What about lightning?” A metal roof conducts electricity. However, metal roofs do not attract lightning in any way. Lightning typically strikes whatever object is physically highest off the ground, regardless of the material it is made of. Metal roofs are not at greater or lesser risk from lightning strikes than any other roof. While it might seem counter-intuitive at first, roofing made of metal is among the lightest weight material you can install on a house. Most metal roofs today are made of either an aluminum blend with a weight of about 50 pounds per 100 square feet or steel, at 100 pounds to 200 pounds per 100 square feet. By comparison, premium asphalt shingles can weigh over 400 pounds per 100 square feet while the same coverage of quality wood shingles weighs between 300 and 400 pounds, depending on the variety. Clay tiles are way up there, averaging more than 1,000 pounds per 100 square feet. The weight of a new roof matters, especially when it is applied to a sub-roof, and/or the lower wall structure supporting the sub-roof, that is not so new—and will perhaps be over-stressed by the increased weight. Heavy roofs also present a greater hazard in the event of an interior fire. During wildfires as well as fires originating in other structures nearby, the roof is a major ignition point as blown sparks and embers contact flammable roofing. Lightning strikes can also ignite wood roofing. Metal roofs are completely fireproof and resist sparks and embers as well as ignition due to a lightning strike. A major cause of heat gain that drives up cooling costs in summer is solar energy absorbed through the roof and into the attic, which in turns radiates down through ceilings into living spaces. Unlike asphalt roofing that absorbs and actually concentrates the sun’s heat, metal roofs reflect about 65% of solar heat energy back into the sky. Roofing manufacturers and paint companies have formulated coatings that apply to metallic surfaces to further enhance these reflective properties. Because of this heat-rejecting benefit, metal roofing can reduce summer cooling costs by 25 percent. Metal roofs are manufactured from recycled content ranging from 25% up to 95%, depending on the material. At the end of their service life most metal roofing materials will be 100% recyclable and won’t add to the stream of landfill content like used asphalt shingles and wood shingling materials do, at an estimated rate of 20 billion pounds per year. Even the existing roof on the house may not need to be disposed of because metal roofing can frequently be installed atop the existing shingles without removal. It’s a fact: Metal roofs can be expensive. The cost differential when compared to most other forms of roofing is meaningful and must be taken into account. It is fair to say that, on average, any metal roof will cost about two to three times more than most other roofing materials. It’s also safe to say that investing in a metal roof makes sense mostly only if you’re planning to stay in the house for a long period of time. The high cost of metal roofing resides entirely in its upfront material purchase and installation cost. In some cases, the sticker shock of that high initial price is enough to be a deal-breaker. After that initial purchase, however, the ongoing maintenance cost of a metal roof is quite low. Moreover, its uniquely long service life means you won’t be stuck with re-roofing expenditures every 10 to 20 years, as you would with wood shingles or asphalt if you own the house that long. Indeed, if a homeowner keeps a home long enough after installing a metal roof to avoid the expense of just one re-roofing that would have been necessary with a roof of conventional wood or asphalt shingles, the metal roof may come close to paying for itself in savings. A metal roof is acceptably resistant to dents from hail stones of typical size. 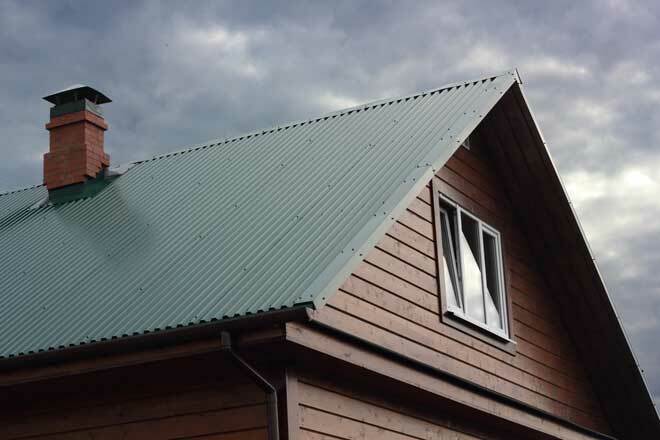 However, atypical hailstones that might be produced by uncommon extreme weather conditions could be large and heavy enough to permanently dent metal roofing. (Of course, wood shingles and asphalt could also be severely damaged by these occurrences, too.) Because of the statistical rarity of such events, however, many metal roofing manufacturers include coverage for hail damage in their long-term warranty. Not all metal roofing is created equal. Despite the dramatic resurgence of metal roofing as a high-performance material in recent years, unfortunately, it’s still possible to get poor quality, low-end product if the homeowner fails to perform due diligence and make a fully informed buying decision. Low-grade, thinner metals that aren’t as durable and coloration that fades or, worse, becomes shiny and very “metallic” in appearance are all potential negative outcomes. Installing metal roofing properly is a highly specialized skill and not one that any and every roofing contractor is well-versed in. 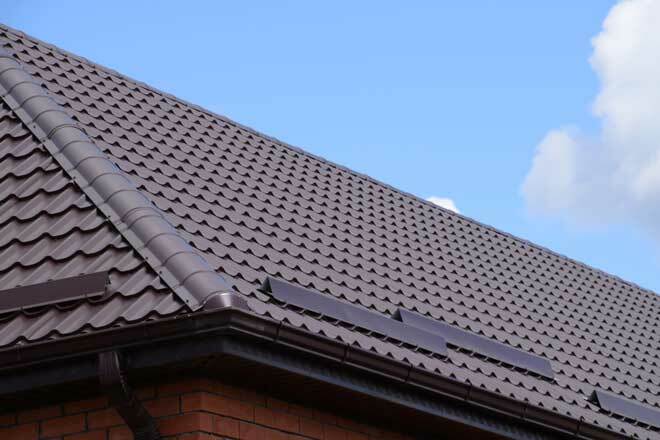 Researching and verifying the quality specs of the product, as well as the reputation and expertise of the contractor, are critical to getting a satisfactory result with metal roofing. Metal roofing is back to stay. Over the past 15 years, its market share in re-roofing projects has more than tripled. Local roofers are learning the art and science of metal roof installation in order to keep up. 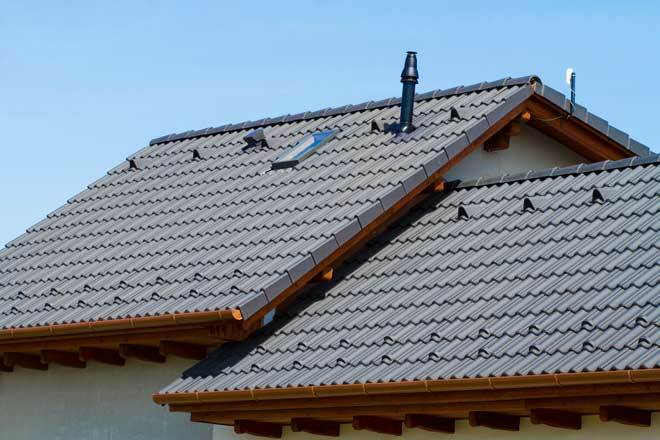 Like any roofing material, metal offers both benefits and downsides. If you’re in the market for a new roof, do the research and the money math, weigh the pros and cons, and make the right decision that works for you.